Rodtang Jitmuangnon and the ONE Super Series were made for each other. The scoring system favours fighters who are exciting and aggressive with both adjectives summing up the style of the two time Omnoi champion. 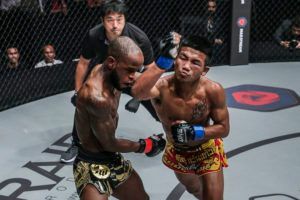 Rodtang is all set to bring his explosive brand of fighting to Manila this Friday for a flyweight clash with Fahdi Khaledat ONE: ‘Hero’s Ascent’. 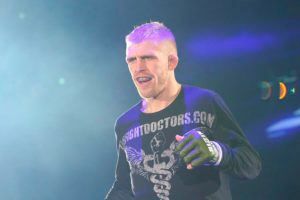 It will be the Thai fighters second bout for the promotion and should he emerge unscathed a spot on the Tokyo card awaits. 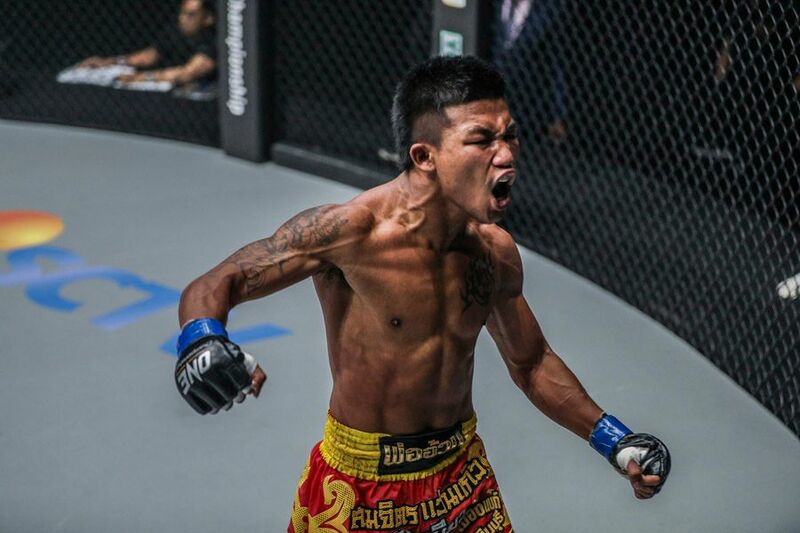 Like most Thai fighters, Rodtang started very young in his home province of Phattalung in the South of Thailand. 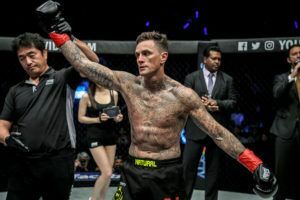 He started training at a local gym and soon got the chance to fight at age 8, winning his first match on points and getting a 300 baht purse. 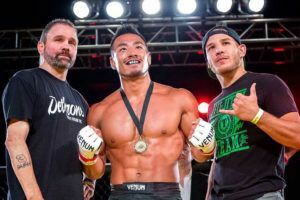 Rodtang fell in love with the sport straight away and carried on competing around the South of Thailand until he was 14 years old and finally got the opportunity to move to Bangkok and train and fight out of the renowned Jitmuangnon camp. 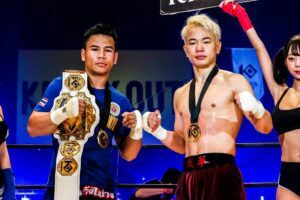 Since joining Jitmuangnon he has won two Omnoi stadium titles and a Max Muay Thai four man tournament and has gone on to be one of the biggest names on the current circuit. “I was very nervous and excited when I first went up to Bangkok. It was like going to another world, but I wanted to test myself and also help to provide for my family,” he said. 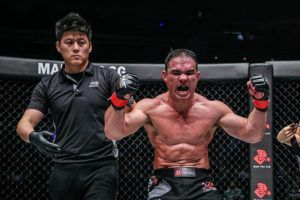 After a few years making a name for himself in the fight capital, Rodtang had a few issues and stopped competing in the stadiums for a bit and competed more up in Thailand’s North East, a hot bed for talent and with shows all over. It was here Rodtang had his favourite fight in his career to date, a battle against Mongkolpetch Nayaparkview, in Mahasarakham province. Rodtang’s favourite fighters growing up as an aspiring superstar, were Pakorn PKSaenchaigym and Rotlek Jaotalaythong. 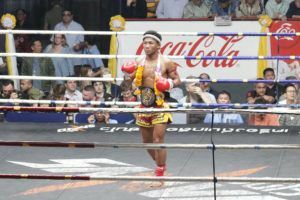 In his stadium career to date Rodtang’s toughest opponent has been Superbank Mor Rattanabandit. 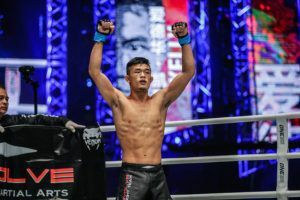 Rodtang started his international career with two fights in Japan before signing with ONE, including a controversial decision loss to Japanese superstar Tenshin. 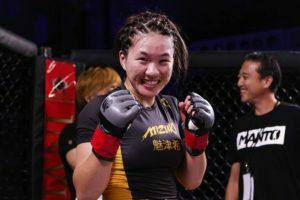 “I was shocked a little at the end of five rounds when it was scored a draw, as I was sure I had done enough to win and Tenshin looked like he had conceded defeat by the end. In the extra round I thought I did enough. I faded a little towards the end of the round, but still think it was enough for the win,” he said. 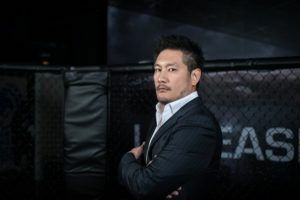 Asked about Tenshin’s fight against Mayweather, Rodtang didn’t think he should have taken him on. Rodtang feels he has found a home with ONE despite being able to earn 200,000 baht per fight in the Bangkok stadiums. 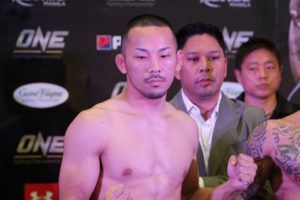 He already has his third fight lined up with ONE on the 31st of March when the show makes its promotional debut in Japan and has his sights firmly set on winning a belt.